Rocky Hill Little League is proud to offer a quality Baseball and Softball program to the residents of Rocky Hill, CT.
What Is Rocky Hill Babe Ruth? IMPORTANT: We will be utilizing the website once again this year for scheduling games and game assignments. All umpires will be required to register on the website. Please make sure to update your profile information, especially email and cellphone. The website will email reminder notifications and field closures and can also send text messages to your cellphone. **Umpires must register EVERY season so we know who's available to be contacted each season. 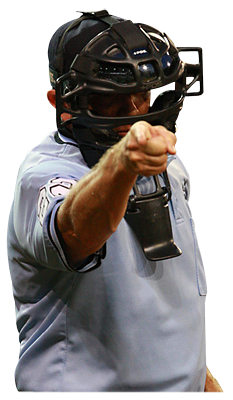 Rocky Hill Little League Umpires Needed! Love baseball? Looking for an exciting way to become involved in youth sports? Don't have the time to commit to coaching a team? Umpiring may just be the perfect way to volunteer for Rocky Hill Little League. Every Majors and Minors game requires two umpires so there are plenty of opportunities to call a game. The typical time commitment for an umpire is 30 minutes prior to the game time until approximately 10 minutes after game time. (average game time is two hours.) No experience necessary. Junior Umpires are also needed. 30 minutes Prior to Game time: Meet Partner/Dress/Discuss Signals, Coverages and Ground Rules. 10 minutes prior to game time: Arrive at game site, check equipment. 5 minutes prior to game time: Pre-game meeting and pledges. After the game it is recommended that you and your partner discuss pros and cons of the game. The following guide is not an official rule book but can be used as instruction for Little League Umpires. At no time should this manual be used as a reference for rules in place of the Official Regulations and Playing Rules of either the Rocky Hill Little League or Little League Baseball. The official rule books will be made available at clinics offered by the League and the District.